In May of this year E-ink unveiled a 32" flexible E-ink screen, and now they are showing off a color option. 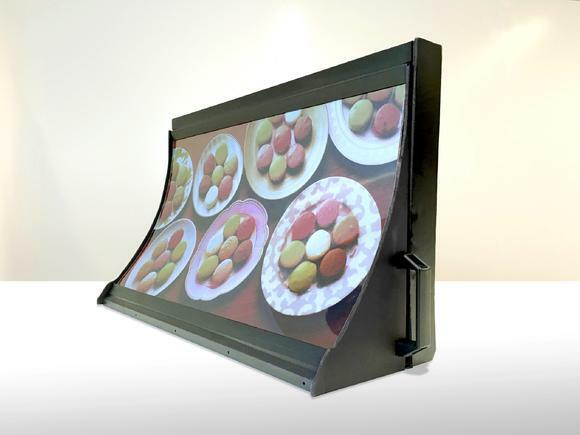 Last week Japan-based Toppan Printing announced that it had co-developed a new 32" flexible color E-ink display which paired a Mobius E-ink screen with a color filter layer developed by Toppan. And according toNikkei, not only is this the biggest color E-ink screen but also the most advanced. Toppan said it had succeeded in creating more vivid, bright colors than its previous technology could. Alas, there was nothing Toppan could do to boost the screen resolution beyond 1280 x 720. E-ink and Toppan revealed the screen last week, and plan to have it in production by the end of 2017. It is unlikely, however, that we will see a commercial product which uses this screen. It has been two plus years since the first 32" E-ink display was launched, and that screen has only been used in prototypes. The new flexible color screens will have the same fate.